Christmas is coming and the creatures are stirring – including this scarf-bundled bunny with her Christmas tree. The appliqué creates a 3D effect, stitched with shimmering thread for a touch of festive sparkle. 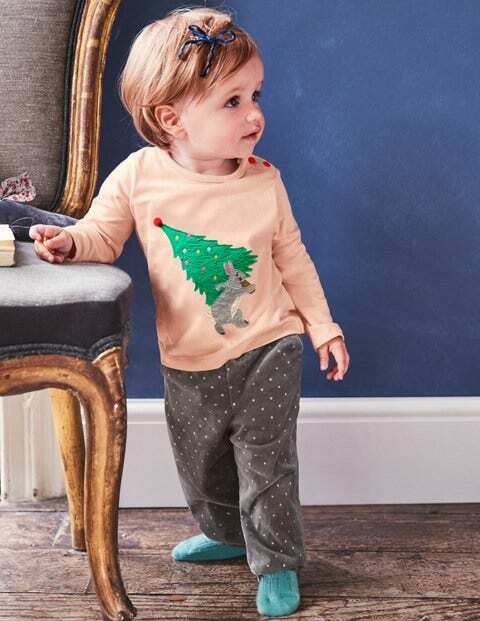 Long sleeves will keep little ones cosy, while shoulder poppers make it easy to pop on and off.